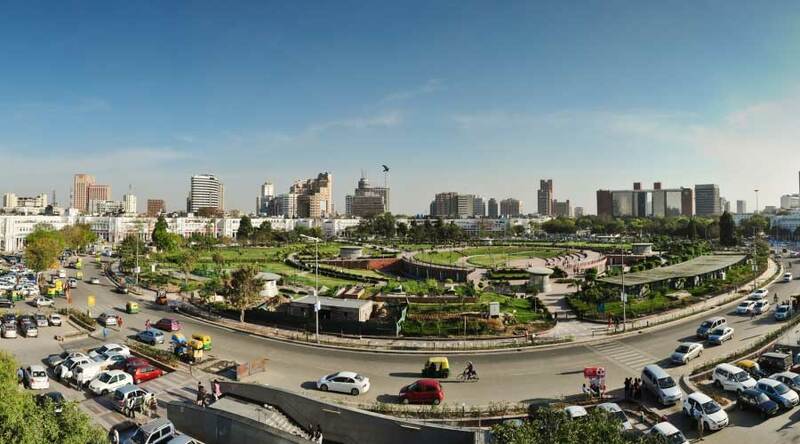 The day tour of our itinerary - Discovering Delhi's Heritage - Past & Present, will take you in the major attractions of Delhi, and, will proffer you with an insight into the life and times of a city that was raised and rebuilt several times over the last 2000 years. We will visit the Ghandhi Museum where lived Father of our nation Mahatma Ghandhi. We will also participate in a food & walking tour where we will explore the amazing backstreets of Delhi. Mahatma Gandhi had lived in this house from 9 September 1947 to 30 January 1948. Thus, the hallowed house treasures many memories of the last 144 days of his life. The building has been converted into a National Memorial of the Father of the Nation. The preserves include the room where Mahatma Gandhi lived and the prayer ground where he held a mass congregation every evening. It was here where assassin’s bullets felled Gandhi ji. The building and the landscape have been preserved as they were in those days. The Memorial consists of: (a) Visual Aspects to perpetuate the memory of Mahatma Gandhi and the noble ideals he represented, (b) Educative Aspects to focus concentrated attention on certain values of life that made Gandhi a Mahatma, and (c) Service Aspects to introduce activities in order to sub serve certain felt needs. On display in the Museum are photographs, sculptures, paintings, frescos, inscriptions on rocks and relics pertaining to the years Mahatma Gandhi spent here. The meagre personal effects of Gandhi too are carefully preserved. A larger than life statue of Mahatma Gandhi, with a boy and a girl holding a dove in their hands standing on either side, emerging out of the globe, symbolising his universal concern for the poor and the deprived, welcomes the visitor at the main entrance of the Gandhi Smriti. It is the work of the renowned sculptor Sri Ram Sutar. The legend at the base of the sculpture says, "My Life is My Message". A Martyr's Column stands at the spot where the Father of the Nation was assassinated, commemorating the Martyrdom of Mahatma Gandhi as the embodiment of all the sufferings and sacrifices that characterised the long struggle for India's Freedom. This beautiful temple is made of white marble and is in the shape of a blooming Lotus. This is a great sight. Inside the building there exists a prayer hall where people can sit and meditate. periodically religious verses from major religions are recited. While on the walking tour, we would wander through the winding narrow lanes bustling with activity. The walk would enable to us an opportunity to interact with local residents, skilled craftsmen and traditional traders. The idea is not only to bring to the visitor the history and tradition of the place, but, to also bring to you face to face with the people who have made it possible for this heritage to generate and sustain for centuries. Welcome to our tour, or as we say ‘atithi devo bhava’ (the guest is an incarnation of God). Thank you for giving us the opportunity to serve you! Today, we visit Gandhi Smriti, housed in the Old Birla House on 5, Tees January Marg, New Delhi; this is the sacred place where Mahatma Gandhi's epic Life ended on 30 January 1948. 11 AM, we will visit The Bahai House of Worship at New Delhi is one of the marvels of modern architecture. Evening, participate in a food and walking tour of the back streets of Old Delhi. Local guide, all applicable taxes. Private Archeological Heritage Walks, Culinary Tours, Night Tours, Sufi Tours in Delhi.